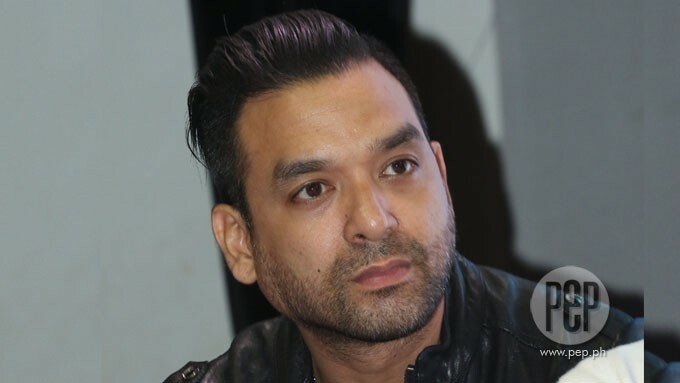 Bernard Palanca explains that he and girlfriend Jerika Ejercito have decided not to live in one roof until they get married. He says, "You know, if we are living in one roof, and we're not married, we have to obey the rules, we have to obey God's will. That's why we decided na ganun nga." Binigyang-linaw ng aktor na si Bernard Palanca ang balitang hiwalay na raw sila ng girlfriend niyang si Jerika Ejercito. Si Jerika ay isa sa mga anak ni dating Pangulo at ngayo'y mayor ng Manila na si Joseph "Erap" Estrada sa dating aktres na si Laarni Enriquez. May isang anak na lalaki sina Bernard at Jerika—ang magdadalawang taon nang si Isiah Joseph. Nang makausap ng PEP.ph (Philippine Entertainment Portal) si Bernard sa presscon ng Bakit Manipis Ang Ulap? ng TV5 at Viva Entertainment Inc., noong Lunes, January 18, itinanggi niya ang tungkol sa isyung ito. Sabi ng aktor, "We're still together, we're still very much together. "Our priorities now are... 'cause we've been together for, wow, almost four years already. "Our priorities now, lalo na't that we're parents—she being a new parent, me being a new parent again—we want to be responsible as individuals, and do what we do before tying the knot. "The next move at this point is just getting married. "That's why I wanna work so hard now, because I wanna get married already. "I wanna strike while it's hotter, and opportunity knocks but once." Maliban sa anak nila ni Jericka, may isa ring anak na lalaki si Bernard sa dati niyang asawa na si Meryll Soriano. MOVING OUT. Paano ba nagsimula ang tsismis na hiwalay na raw sila? Ayon kay Bernard, "'Cause we used to live together. "But I recently converted into Born-Again Christian. "And because I did, and because we're not married, it's really a sin to live together. "So we were asked by our pastor what's gonna be our choice. "And, you know, it's not right. "And, I agree, 'cause it's not right. "You know, if we are living in one roof, and we're not married, we have to obey the rules, we have to obey God's will. "That's why we decided na ganun nga." Sa isang salita, hiwalay sila physically, pero ang relasyon nila bilang partners ay intact pa rin. Diin ni Bernard, "Just physically. "It's all because we want to obey the Church, it's that simple. "We're okay, we're both... there's no problem, really. "She's busy, I'm also busy. "I'm happy for what she's doing now, and in fact, I support her and vice versa." GETTING MARRIED, May pressure na ba sa pamilya ni Jerika na kailangan na nilang magpakasal? Nakangiting sagot ni Bernard, "Their kinda are. "That's why I really have to work more, save more, because marriage isn't that cheap. "My boys are getting older, it's getting more expensive. “But these are all, you know, small things. "If you really think about it, the way Icka and I are with each other, in our hearts naman, we've always been married. "I mean, that's how we look at each other. "I treat her and look at her as my wife, and vice versa. "That's the best way I could say that, yun ang reality, but in papers, we're not yet." HAPPY BERNARD. Masaya naman daw si Bernard sa kanyang buhay ngayon. Diin niya, "Im happy, can't you see? "I can't ask for anything more. "Siguro, if I ask God for any more, call me greedy na. Sabi pa niya tungkol kay Jerika, "And it's just that she's busy. "This is the time that we have decided that she wants to do things she wants to do. “I want to continue this [acting] and want to do more actually. "So, yun, we see each other a lot pa rin, we're together pa rin. "Nothing's changed, it's just that we're working for our tomorrow, and I can't be happier enough. “I can't rush everything, only in God's time. "I'm enjoying what's given me, but we're still happy together."